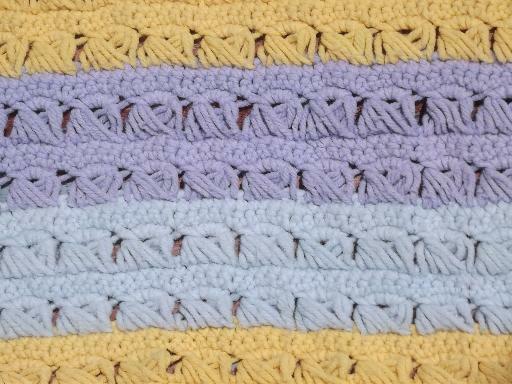 Old handmade crochet rug striped in lavender blue and butter yellow shades, all soft acrylic yarn. This measures about 62" x 36". 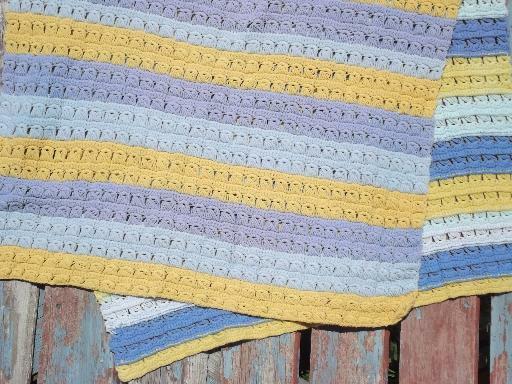 There's some very even fading to what was originally the top side of the rug, but you could easily use this flipped over if you prefer, since the crochet looks the same from either side. 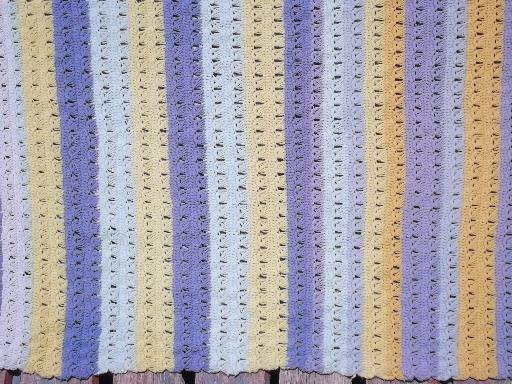 You'll want to use this over a non-skid mat, as there's no applied backing even at the corners or edges.